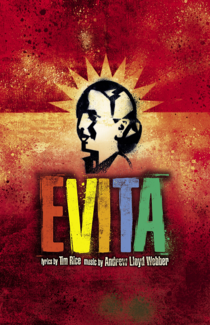 Big Deal Productions is thrilled to announce auditions for our 2019 Summer Musical presentation of EVITA. Auditions are open to all performers ages 8 and up (performers must be 8 years old at the time of auditions) and will be held at the Buffalo Grove Park District Community Arts Center on Wednesday, May 8 & Thursday, May 9 from 6 - 10 pm. Performers ages 8-14 should reserve audition times between 6-7 pm, and performers ages 15 & up should sign up for times at or after 7 pm. Callbacks will be held at the Community Arts Center on the evening of Monday, May 13 (Exact time = TBA). Please click on an open slot below to reserve your audition time! Attn: Parents of young performers - if you are signing your child up for an audition, please be sure to enter their name, not yours. Thank you! Auditions will consist of singing and dancing. Please prepare 32 bars or 1-minute of a song in the style of the show, preferably from a Broadway musical. The production team has requested that you do not choose a selection from Evita. Make sure your music is accurately marked with cuts and is in a binder. An accompanist will be provided. Please dress comfortably and bring appropriate footwear for a dance audition. Performers are also asked to provide a recent photo or head shot that you will not get back. Please Note: auditions should take *approximately* 1 hour in total. Performances for this production will be held on July 19, 20, 26 & 27 at 7:30 pm, and July 21 & 28 at 2 pm. A copy of the master rehearsal schedule is posted at bigdealproductions.org. There is no participation fee for this production, however, participants are required to provide necessary shoes/tights/undergarments as well as stage make-up for performances. Please feel free to contact the Producer, Lindsay Grandt at [email protected] or 847.850.2132 for additional information or with any questions. Thank you!